RALEIGH (WTVD) -- Raleigh is commemorating civil rights icon Martin Luther King Jr. early this year. 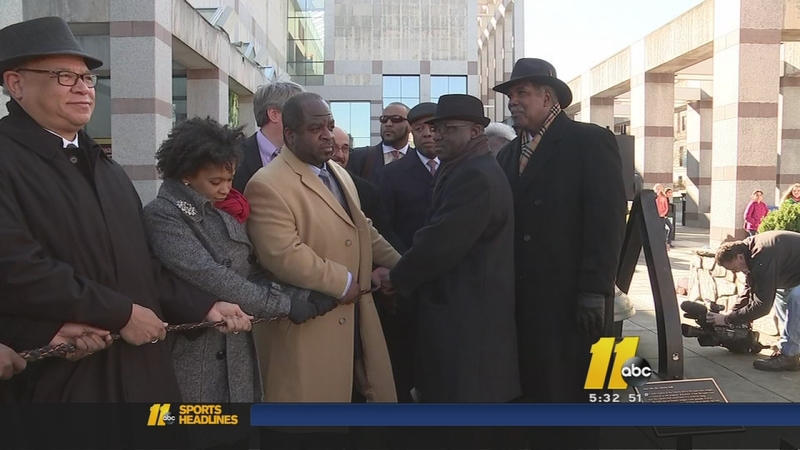 Observances for Dr. Martin Luther King, Jr. kicked off in Raleigh on Friday with a bell ringing ceremony. The bell tolled six times, once for each decade since Dr. King's famous "I Have a Dream" speech. Many believe that speech still resonates, given the status of current events in our society today. "The ringing of the Liberty Bell is a reminder of the price of freedom. We must understand that freedom is not free," said Chairman of the MLK Jr. Commission Clarence Henderson. Following the bell ceremony, participants walked to the First Baptist Church on Wilmington Street. Members of the MLK Jr. Commission also walked to the church where the theme of honoring Dr. King's work continued. There was music, prayer, and plenty of reflection on what this holiday is really about. "It gives us a chance to think deeply about what he really stood for the totality of his life and sacrificed and moving even beyond," said Dr. Dumas Harshaw Jr. of the First Baptist Church. "I have a drawing to many of his other writings and thoughts and sermons and strategies to really be about creative change in our nation for all human beings for all citizens." Gov. Pat McCrory and other state leaders were in attendance Friday. They agreed that Dr. King's message and musings are still very relevant today. Secretary for the N.C. Department of Cultural Resources, Susan Kluttz, said now is the time to live Dr. King's dream. "As racial tensions continue around the country today, there is no more important time for us to realize that not only today but every day we must work for racial equality. It's our responsibility and it's living Dr. King's dream," Kluttz said. As part of the celebrations honoring Dr. King, North Carolina now joins the nation in making the holiday a national day of service. As a part of Friday's services, citizens are encouraged to give back to their communities on Martin Luther King Jr. Day. Martin Luther King Jr. Day is Monday, Jan. 19.